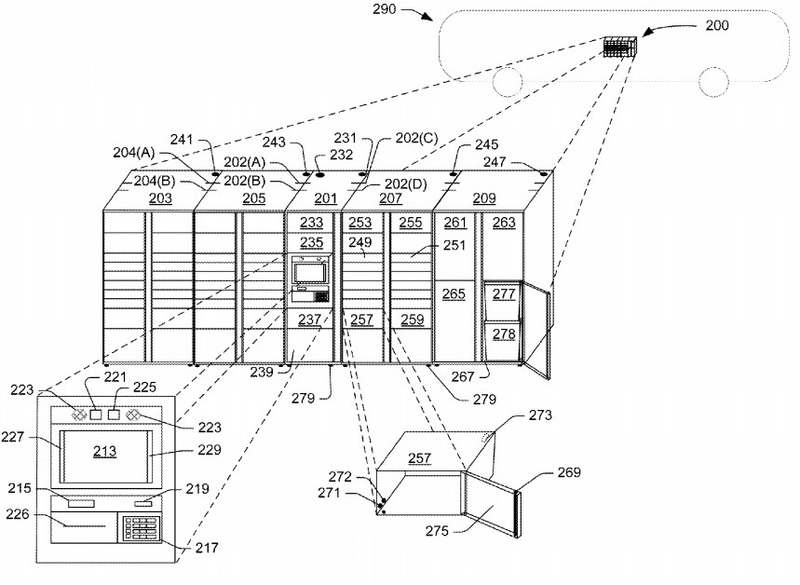 Amazon’s inventors have suggested using drone-dispensing trucks, rail cars and airships to deliver packages, but one of the company’s latest patents lays out a more mundane route for future customers: picking up their purchases from public buses. The patent for a mobile package pickup system was published on Jan. 29, almost five years after inventor Kushal Mukesh Bhatt’s patent application was filed. Ironically, Bhatt now works for Walmart, one of Amazon’s biggest retail competitors. As described in the patent, the system calls for installing storage compartments on buses or other vehicles, and letting riders with the authorized codes unlock a designated compartment and pick up their item. Customers can specify the time and the place for the pickup when they put in their online order. This entry was posted in GeekWire and tagged Amazon, Patents, Technology, Transportation. Bookmark the permalink.